Audiophile-grade headphones used to be remarkably expensive and they are a dream of headphone enthusiasts. However, they have become much more affordable now and headphones makers release audiophile headphones at low price range. 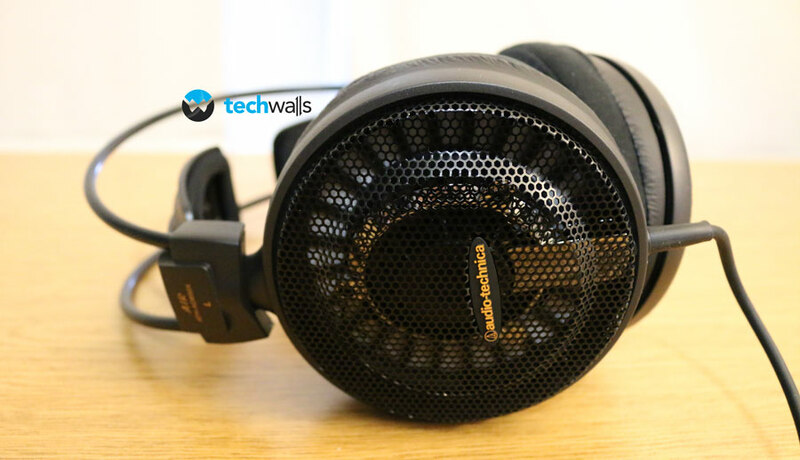 Even at around $200, you can get a audiophile headphone and Audio Technica ATH-AD900x is one of those headphones for low-budget users. Let’s continue reading to see if this headphone deserves to be audiophile graded or it is just a marketing trick. My first impression of the Audio Technica is its huge size. This is the biggest headphone I’ve ever reviewed here, and unfortunately, this one is unfoldable, so it is too bulky to carry around. Moreover, the cable is too long and non-removable, therefore, this is definitely not a portable headphone. On a positive side, the headphone is very lightweight and I feel very comfortable wearing it. The 3D wing support system is a great idea as it could automatically adjust itself to fit different head size. The clamping force on your head is so minimal that you won’t feel it. The ear pads are well-cushioned and it is made of some kinds of cloth. Of course, they don’t look as elegant as leather ear pads, but they could be cleaner and more durable. I’m not really satisfied with build quality of the AD900X. It is made mostly of plastic and there is just a little aluminum outside the earcups. The 2 wings are weak and I feel like they could be broken anytime. I always prefer open-back headphones because they allow more air flows inside earcups, so they are often more comfortable for my ears. The ATH-AD900X is not an exception, I easily can wear this headphone in 4-5 hours without any problem. When I reviewed the AKG 545, I thought its bass response is not as deep as other headphones, but the ATH-AD900X even provides lighter bass than the AKG 545. You won’t feel much sub-bass on this headphone, however, the sound is still quite natural with no exaggerated bass and I find it more comfortable for listening to music in a long period of time. The headphone emphasizes its midrange and treble, so the sounds are very clear, crisp, contain a lot of details and no distortion. 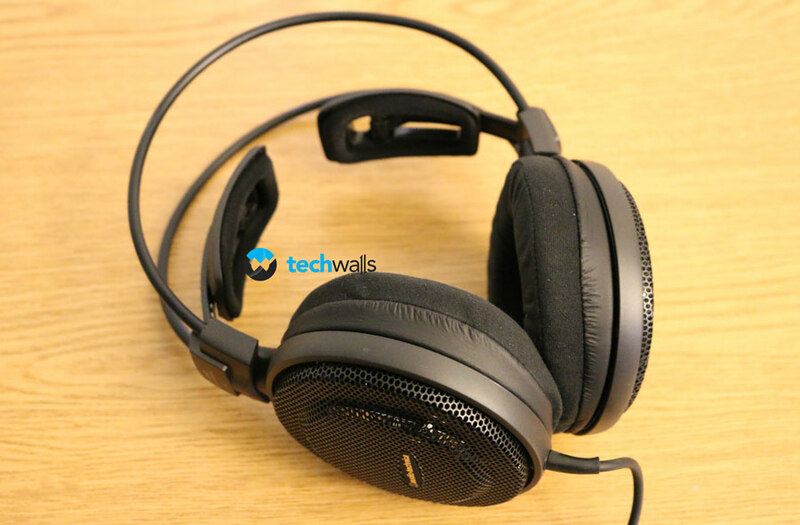 The Audio Technica headphone features big 53mm drivers and they contribute to an impressive sound stage. The 2D and 3D images are very wide and even better than the AKG 545. You will not want to turn the volume to maximum because this is a very loud headphone and an obvious downside of open-back design is the sound leakage. Therefore, this headphone should only be used at home so that you can make sure you won’t disturb people around. Overall, the ATH-AD900X is purely a good headphone for acoustic or classical music. The bass response is not heavy but it is clean and quite accurate, making your listening experience more relaxing. It is available on Amazon for around $200, I will recommend this headphone if you are looking for a good sound and not the outer look. Quite lightweight at its size. Open-back design helps the air circulate and more comfortable to listen in long time. Maximum volume level is very high. Solid, clear and natural sound. Materials look cheap and build quality seems flimsy. Not portable due to its big size. Bass response is very light. The cable is too long and non-removable.